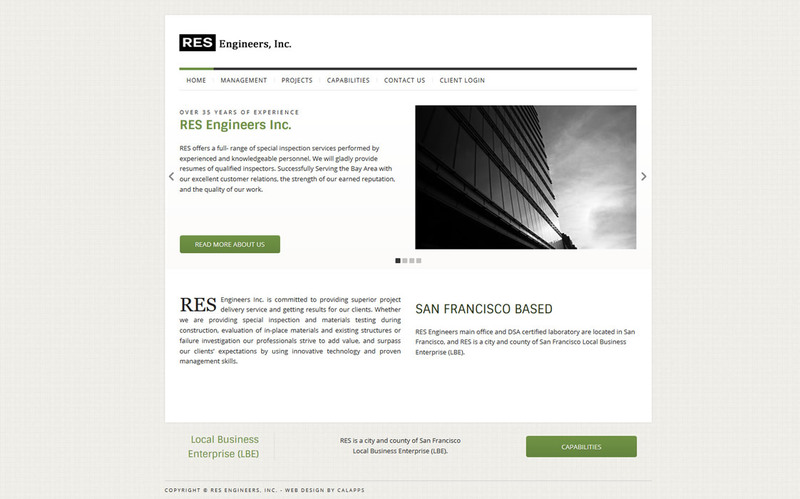 RES Engineers hired CalApps to provide a custom responsive website to serve as an online business card for their organization. We used WordPress CMS because they wanted to handle adding new images and text on their own. We integrated an area for their customers to create accounts to login and view their estimates, proposals, contracts and be able to communicate with RES through forms within their accounts. The website design has held up nicely over the years and served the needs of the client.